Congratulations to our Ivy Coach students who earned admission to Stanford University this week! Your thank you notes touched us so much (photo credit: King of Hearts). The Stanford Class of 2019 stats are in. 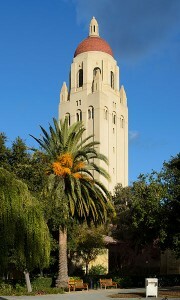 Congratulations to all of our Ivy Coach students who earned admission to Stanford University this past Friday! It’s absolutely our favorite time of year when our previously stressed out students and their parents call and email with the exciting news that they’ve earned admission to a top university such as Stanford. Their thank you notes truly touch us. While Stanford is not an Ivy League school, we suspect we’ll have more students enrolling at Stanford this coming fall than at any other university. If our students ever turn down Harvard, it’s because they’ve earned admission to Stanford as well and they have a personal preference for Stanford. It’s quite the high class problem. In all, 42,487 students submitted applications to Stanford University this year. It marked the largest applicant pool in the university’s long history. 1,402 of these applicants received offers of admission this past Friday. These students join the 742 students who previously earned admission to The Farm during the Early Action round. If you’re wondering what the Stanford admission rate was, it was 5.05%. 5.05%! It marked the lowest admission rate in the university’s history, even lower than last year’s 5.07%. Admissions is becoming like a swim meet. Yes, we understand that swimmers might be the only ones to get that reference. Oh well. It doesn’t matter that stanford is not an ivy. It has proven that it is the undisputed number one. People already casually(!) reject harvard and of course princeton for stanford. And I think this number will increase a lot more in the years to come. As for yale it is not even a question really anymore. Just a minor correction, the OVERALL admit rate at Stanford this year was 5.05%. The admit rate for the regular decision round was lower at 4.04%.